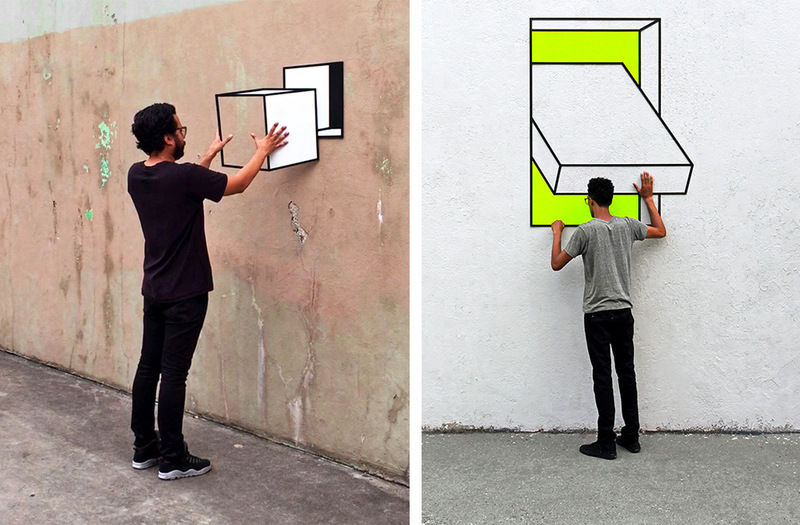 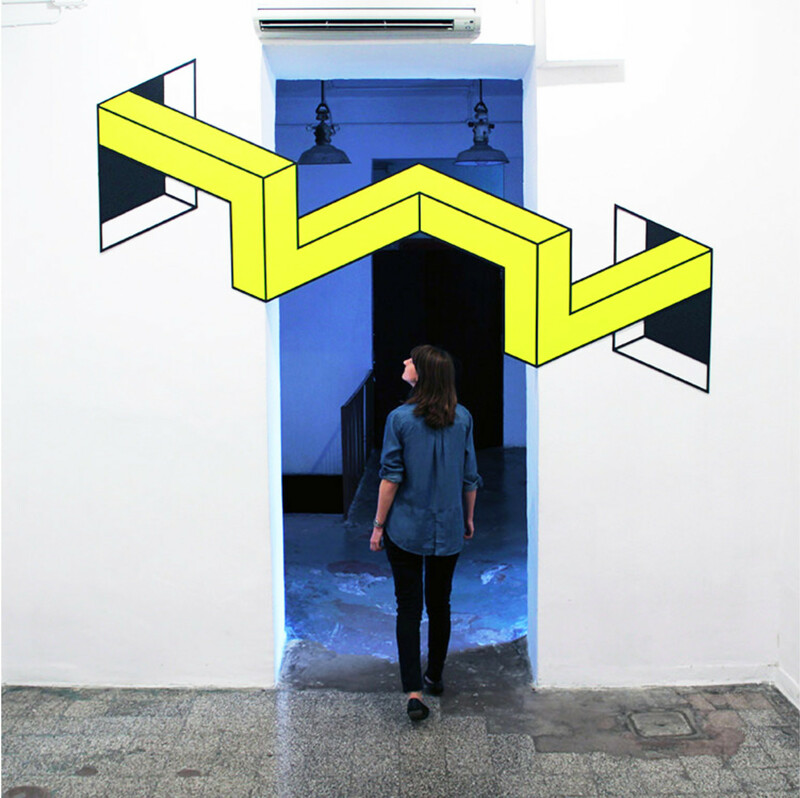 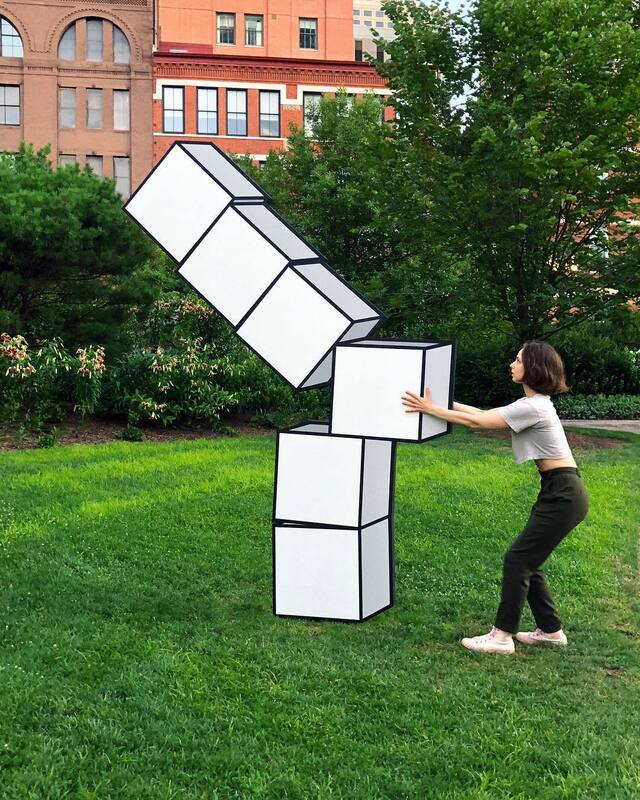 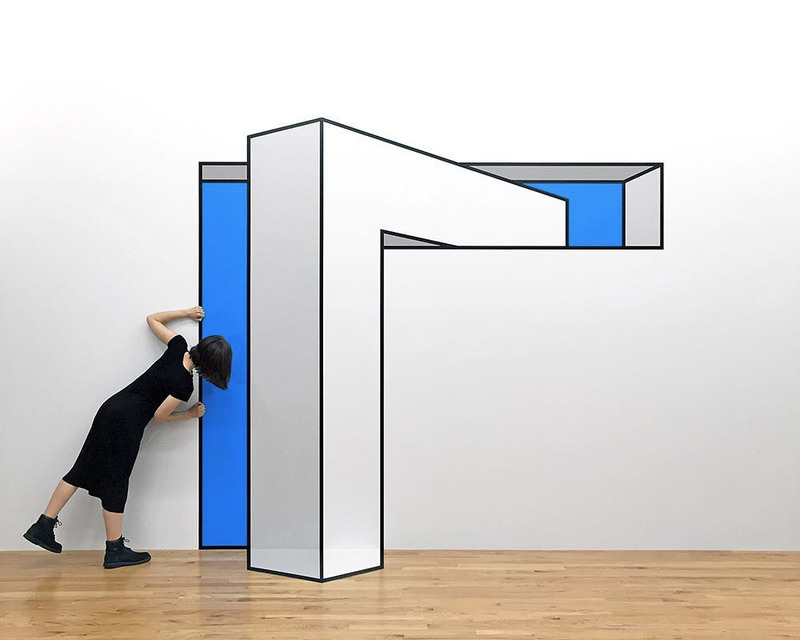 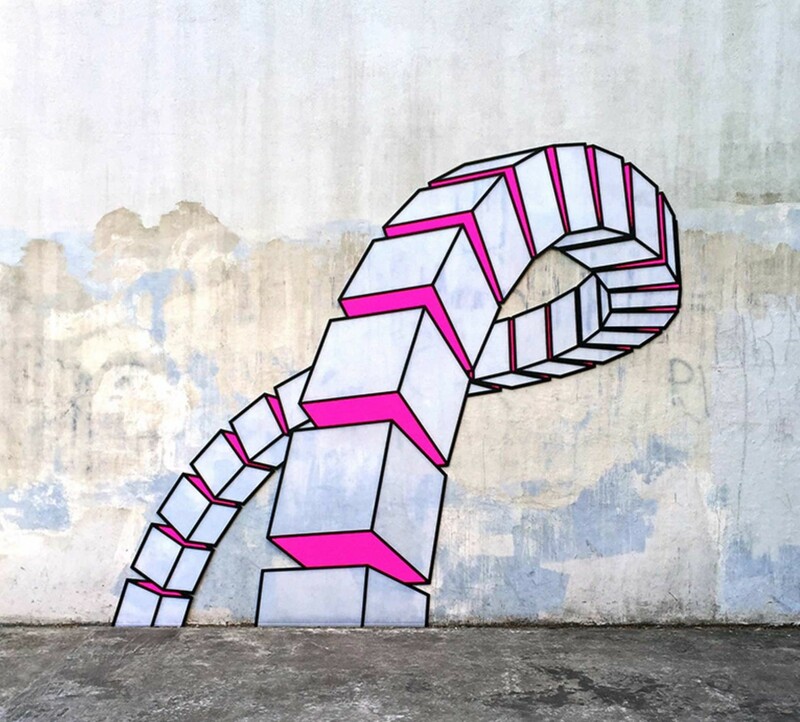 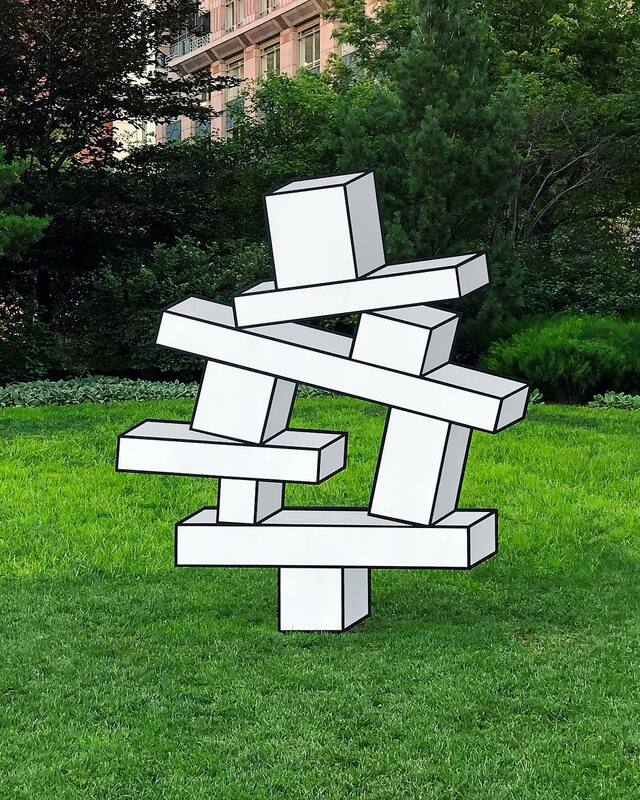 Aakash Nihalani is a painter and artist from New York who creates graphic installations that challenge the boundaries between two and three dimensions. 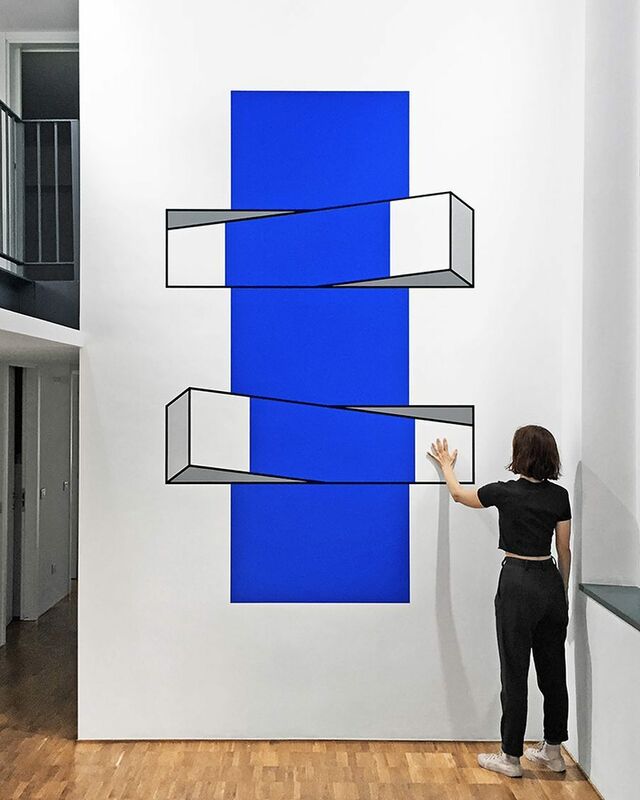 His constructions are made in wood or metal and they are located freely in the space just as sculptures or integrated in a wall. 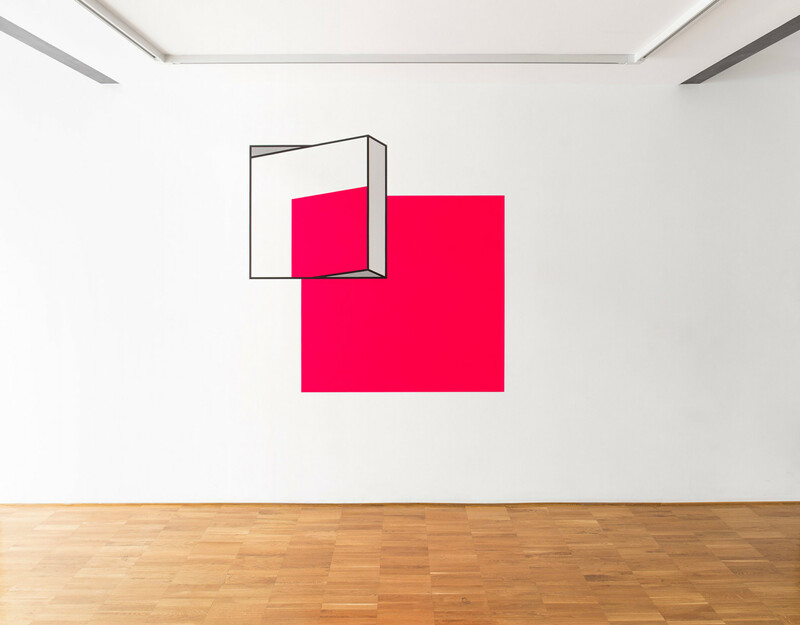 Nihalani prefers to work with contrasting colors and some touch of neon in order to underline the ambivalence between the two dimensions. 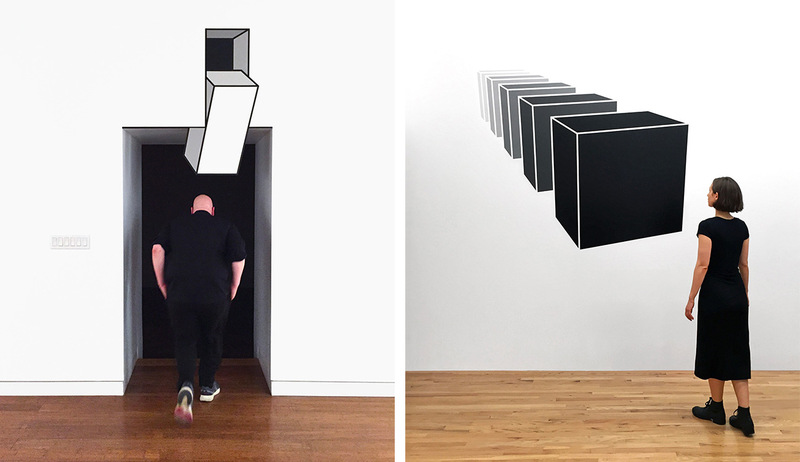 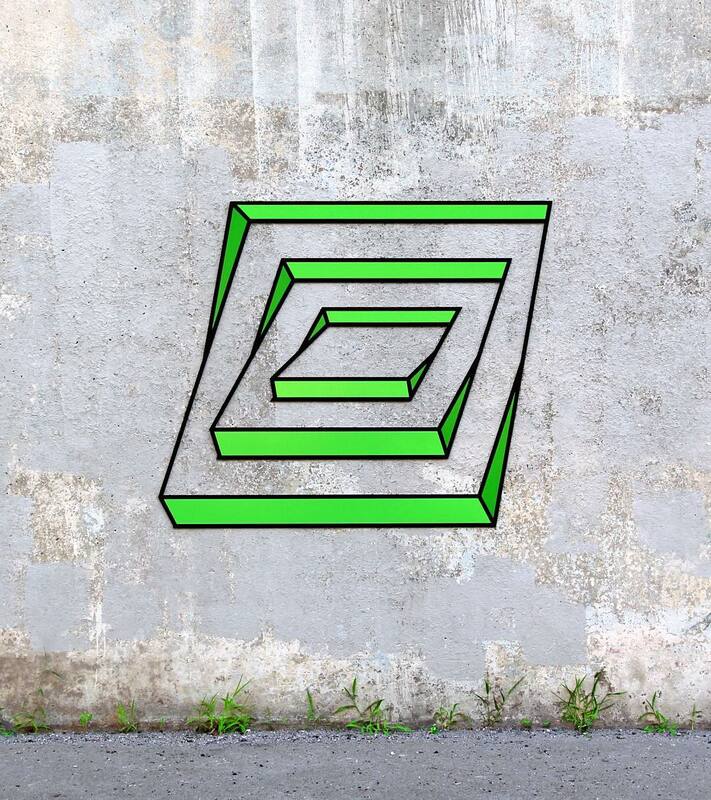 An artistic concept that question our perception of reality.